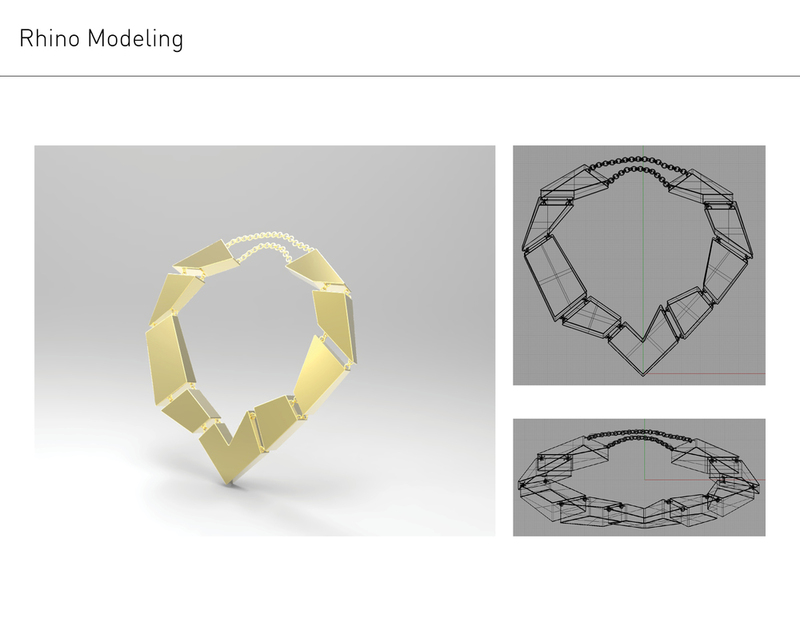 The concept for this necklace is metamorphosis, it is a biological process of animal transformation. For instance, a butterfly encounters four stages of transformation: an egg, caterpillar, pupa, and butterfly. Making a necklace can best reflect the idea of transformation since a necklace goes around the wearer’s neck, like a life cycle. The form of the piece was inspired by cubism, a very influential art movement during the 20th century. The concept of cubism was to break away from absolute realism, abstract real life image or objects into facets, and then reassemble them in a creative way. This piece took this idea and broke the life cycle of butterfly into facet forms that were reassembled together with different pieces of wire-constructed forms.